The Lower Snake River Dams Power Replacement Study -- the most extensive yet undertaken on the subject -- shows that power from the Ice Harbor, Lower Monumental, Little Goose and Lower Granite dams can be affordably replaced by a mix of energy efficiency measures and renewable energy resources without compromising electric-system reliability and with little or no increase in greenhouse gas emissions. In fact, electric system adequacy, reliability and flexibility would actually improve. That's quite a deal when you also consider the business opportunities arising from the build-out of new renewable resources, the shot in the arm that dam removal would give to our fishing and tourism industries, and the new tax revenues that would flow to local governments from private-sector solar and wind facilities. That's why it's disappointing that the ostensibly business and market-oriented Washington Policy Center has come out as the study's severest critic. In an April 8 Spokesman-Review article ("Life without Snake River dams"), Todd Myers of the Washington Policy Center claimed that the transition to private-sector wind, solar and energy efficiency would be too large and too costly. Yet those familiar with power resources know that the Northwest has the largest potential for wind development in the nation and far more solar potential than the amount called for by the study. 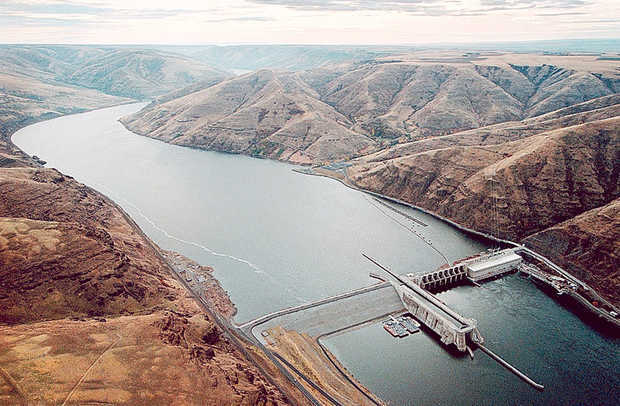 Meanwhile, in recent years, many states -- Texas, Oklahoma, Iowa and California among them -- have replaced old energy sources with new renewables on a larger scale than is required to replace power from the Snake River dams. Finally, Myers argues that the transition to new renewable resources would greatly increase greenhouse gas emissions. While it's possible that electric system emissions could go up by less than 1 percent due to supplemental market-based purchases by utilities, it's equally true that emissions could decrease by as much as 2 percent depending on state environmental policies. Instead, in the years after we passed I-937, utility rates grew at less than the rate of inflation and clean energy businesses became one of the fastest-growing and biggest job-creating sectors of the state's economy.